I’ve always hated New Year’s resolutions, which sound to me like a list of things I should be doing, but am not. What’s the point? If it were important to me, I’d already be doing it. But talking to a colleague recently about New Year’s resolutions, I realized that maybe I’m being too dismissive. 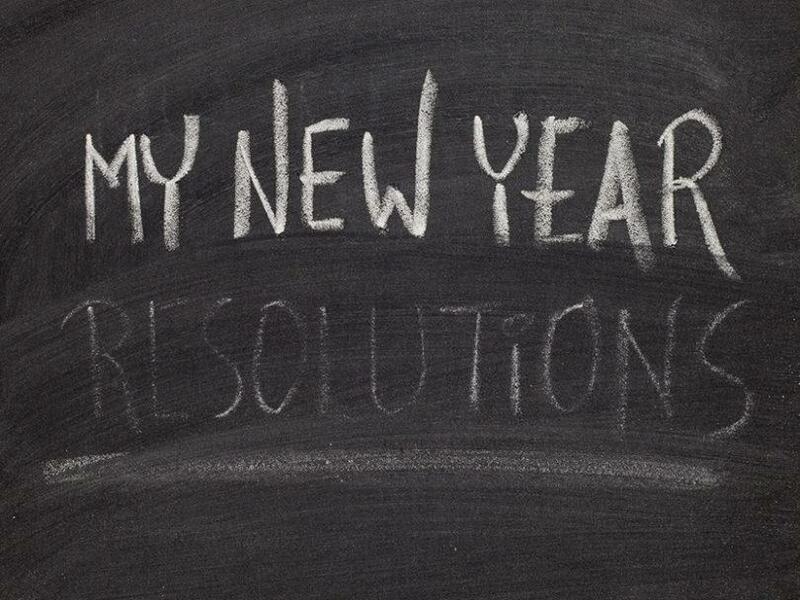 I’m all for self-improvement, which is really what most resolutions are about. I just don’t want to make myself feel crappy about something I’m not doing. And so I wondered: Could science help me find a resolution I’d actually keep? I dug into the literature and talked to some psychologists, and what I discovered is that science can’t tell me exactly what to resolve, but it has narrowed in on a few tricks that can help me succeed. The first, perhaps most crucial thing to do is pick a goal that you’re truly committed to. Not just something you think you should do, but something you truly want to do, said Marina Milyavskaya, a psychologist at Carleton University. “Wanted goals are much more likely to be attained,” she said. You may really want to get into better shape, but to get there, you’d best find a fitness regimen you enjoy or your chances of success are slim. There’s no single magic formula. A systematic review of research on exercise adherence published in 2018 concluded that there didn’t seem to be any single effective approach to getting people to do exercise. “Different approaches are required for different populations,” researchers wrote. It might sound counterintuitive, but Norcross said that making two resolutions can sometimes be an effective strategy for success. He calls it “co-action” — “we find that if the two goals are related, they can result in synchronicity.” For example, if you’re trying to stop smoking, consider piggybacking it onto a plan to manage stress too. If you’re someone who uses smoking for relaxation and stress management, making a goal to find another way to do that will help you succeed. Finally, I’ve found (and I may be going out on a limb here, but bear with me…) that if you want to maximize your odds of success, make sure your resolution is serving whatever it is you’re really seeking. A few years ago, I decided I was going to overcome my pathological procrastination habit.1 It was making me miserable to find myself panicking every time a deadline rolled around. So I made a very concerted effort to do my work in advance. All that time that I’d normally spend not writing, I would instead spend at my desk, pecking away at the story. And what I found when I did this was that the writing process was just as miserable,2 except it took me longer and the work I produced was no better. It actually felt worse, because I’d spent more time hovering over it. It turned out that the pre-deadline panic is what drives me to do my best work. Unless I wanted to stop writing (and I didn’t), then I didn’t really want to stop the deadline panic, what I really wanted was to stop the self-loathing that came along with it. So I adjusted my goal. I gave myself permission to put things off a little and accepted it as part of my process. I resolved, in essence, to stop hating myself for procrastinating. And it’s made me a happier writer. In other words, if you’re going to get all self-helpy and set a resolution (or two), know that these pledges are best when they help you find your true self. Even if that means breaking them.